Rated 5 out of 5 by 522 reviewers. It's all our cat will eat!! The girls can't get enough!!!! Gravy Lovers Turkey flavor is lovely! JoJo goes crazy for this! The only food my cats will eat! Wish it was people food! We have six cats who come running when "its canned food time"
my kitty is beefin up! All I like is the gravy! 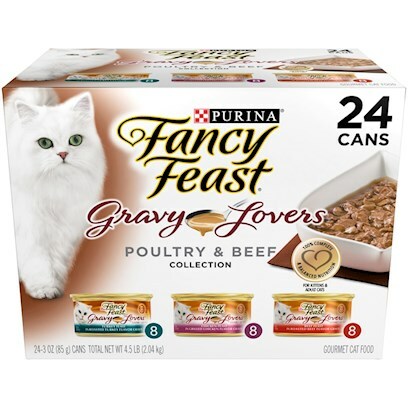 Picky Kitties love the GRAVY. My cat accepts nothing else.